Despite the fact that the new expansion has been undergoing technical rehearsals for over a month, Potterheads and Muggles alike are anxiously awaiting the official opening day of the Wizarding World of Harry Potter at Universal Studios Hollywood on April 7th. And in addition to that, the park will be hosting a grand opening ceremony two days earlier, with lots of excitement and special guests in store for the occasion. This week the official J.K. Rowling website Pottermore announced that “Harry Potter” film franchise stars Warwick Davis (Flitwick / Griphook), Tom Felton (Draco Malfoy), Evanna Lynch (Luna Lovegood), James Phelps (Fred Weasley) and Oliver Phelps (George Weasley) will all be on hand for the April 5th event. One additional very special guest was also revealed: John Williams, composer of the musical score for the first three “Harry Potter” movies, along with many of the most-recognizable movie themes from throughout the past half-century of cinema history. According to a press release that was also sent out today, other guests at the ceremony will include actors Viola Davis and Billy Bob Thornton, make-up effects artist Greg Nicotero, comedian Chris Hardwick, Universal Studios Hollywood president Larry Kurzweil, and mayor of Los Angeles Eric Garcetti. Stay tuned to this very site for coverage of the Grand Opening Ceremony of Universal Studios Hollywood’s Wizarding World of Harry Potter coming April 5th! VIDEO: New “Alice Through the Looking Glass” trailer and poster transport us into Wonderland! I hope that by April 5th you mean April 7? The opening ceremony is on April 5th. The land officially opens to the public two days later on the 7th. I hope by half decade you mean half century. 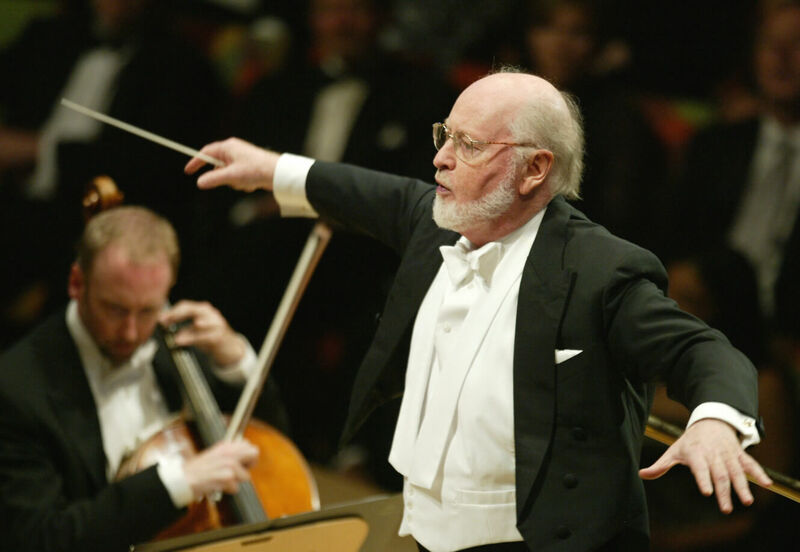 Most of John Williams’ most famous work is more than five years old. Jaws, Star Wars, Superman, Indiana Jones. Is there any way guests can go to the opening ceremony on April 5th? Also, do you think/know if the actors for Fred and George will be there on April 7th hanging around their shop like they often do in the one at Orlando Florida? Will there be any special celebrity guests at the actual grand opening on the 7th? Hi. I Made it to the opening on April 7 , but not on April 5 , when more of the stars appeared . On the fifth, the Twins made it, Evanna Lynch, Warwick Davis, John Williams and Tom Felton. But on the seventh , was just the Twins and Warwick Davis . We got to listen to them speak , but didn’t get to really meet them . Still, we had a great four days and enjoyed ourselves immensely . I plan to go again . It was the best fun . Newer Newer post: Should Disney consider creating original content for Netflix streaming?